Nicole Bolton breaks into the top five after a stellar maiden ODI tour of India. Suzie Bates’ 234 runs from three matches, including a top score of 101* against the visiting Windies, has seen the New Zealand captain go past Meg Lanning and Mithali Raj in the MRF Tyres ICC Women’s ODI Player Rankings for batters. She is now behind Ellyse Perry at No.2. The brisk starts provided by Bates at the top of the New Zealand innings have set the tone for the team. After a narrow one-run victory in the first match against Windies, Bates urged her side to up their energy levels and show a greater measure of intent. On both counts, she led by example. In the series, which they wrapped up a 3-0 win to take all the ICC Women’s Championship points on offer, Bates consistently went at better than a run a ball. She formed a formidable opening partnership with Sophie Devine, the top scorer for the series, with the duo going on the attack early and finding the boundaries all around the ground. Hot on the heels of Lanning and Raj is another opener: Australia’s Nicole Bolton. Bolton, Player of the Series in Australia’s emphatic 3-0 sweep of India for her chart-topping 195 runs in three matches, overshadowed both captains. In her first ODI series in India, she had a measure of the conditions early and settled in to average 97.50 for the series. She tackled the spinners well, and while she regularly found the boundary, as important was her ability to rotate the strike. She was involved in vital top-order partnerships in the first two matches, which kept the run rate healthy and the scoreboard ticking. These performances, including a top score of 100*, have meant she has risen nine places in the rankings announced on 19 March, breaking into the top five. She’s tied with Raj in fourth place. 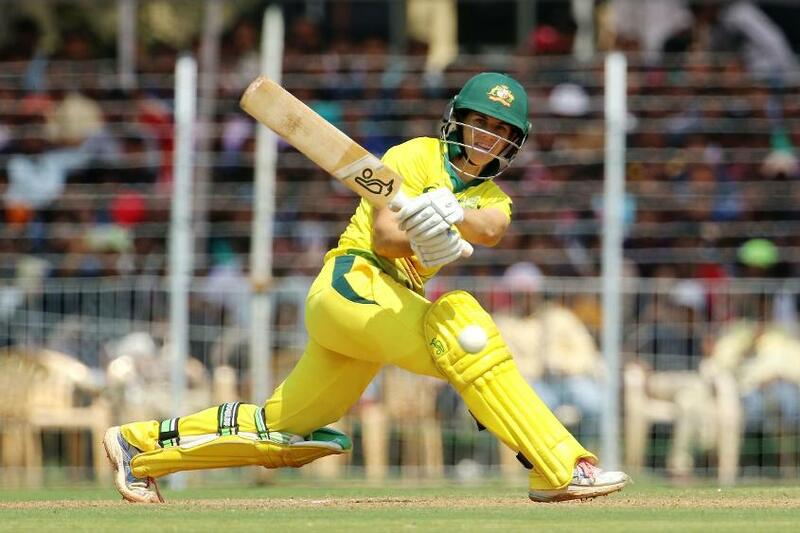 Also moving up the table to accumulate career-best points – and continuing the trend of high-performing openers – are Smriti Mandhana, who made two fifties in the series, and Alyssa Healy, who brought up her maiden hundred. "I did a lot of work to spin over the last few days, so to come out and play positively to them is something I'm proud of," said Healy. "Hopefully I can take that into the T20s (featuring India and England)." Both have broken into the top 20, with Mandhana at 14 and Healy at 16.